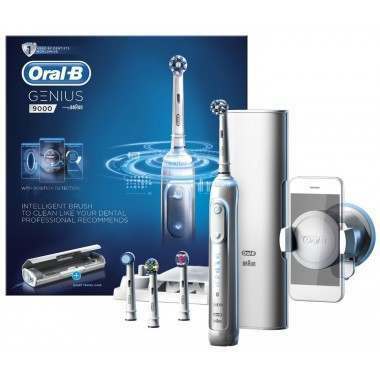 Oral-B GENIUS electric toothbrush is the best toothbrush ever from Oral-B. The world’s first brush with Position Detection technology, it sees where you have brushed to guide you as it cleans. Approved by the British Dental health Foundation, featuring superior 3D technology from Oral B which both pulsates, oscillates and rotates for a thorough and effective clean. 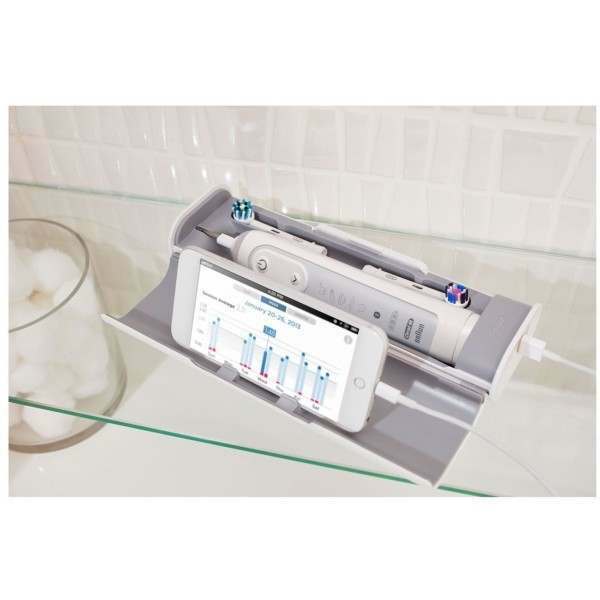 The Oral-B Genius 9000 CrossAction toothbrush features a cutting-edge Lithium Ion battery and smart travel case that’s designed to charge both your toothbrush and smartphone using only one outlet, all while delivering long-lasting, consistently powerful cleaning action. 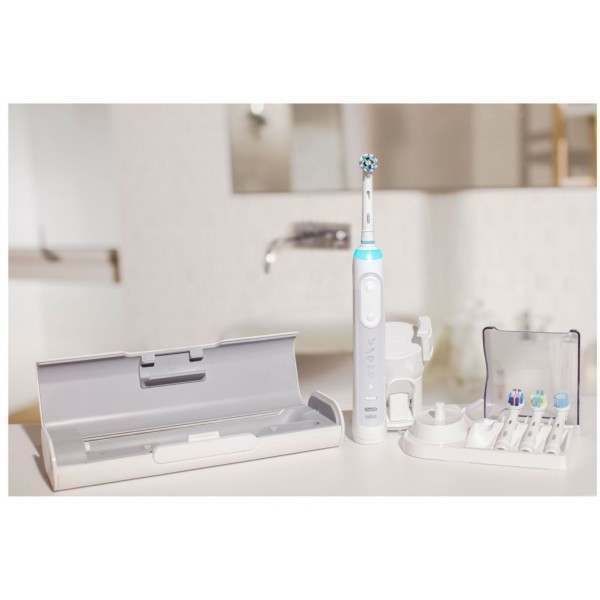 The Oral-B Genius 9000 CrossAction electric toothbrush with Bluetooth technology provides focused care as you follow your dental care journey and receive guidance that can be adjusted by your dental professional. Download the Oral-B App on your smartphone and use Bluetooth technology to get real-time feedback to help you perfect your cleaning and whitening routine. Elevate your custom cleaning experience with the multifunctional 360 degree SmartRing. Visible from every angle while brushing, the SmartRing allows you to see feedback from the pressure indicator, brushing timer, and Bluetooth connection with ease. 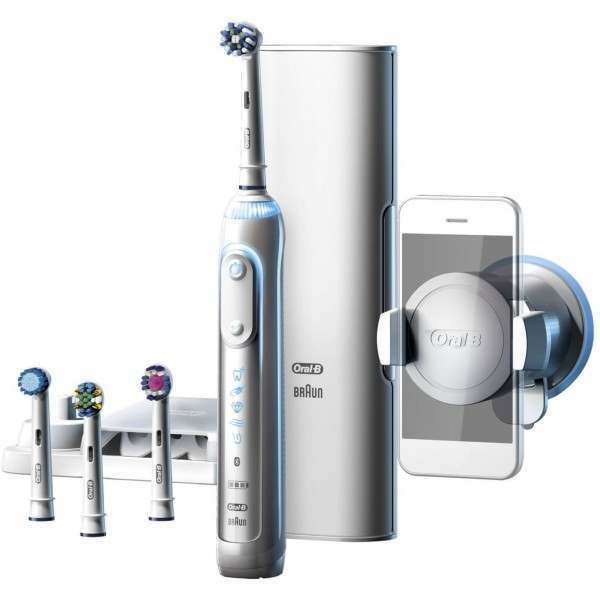 It can also be programmed through the Oral-B smartphone app to illuminate with your choice of 12 colors as you brush.